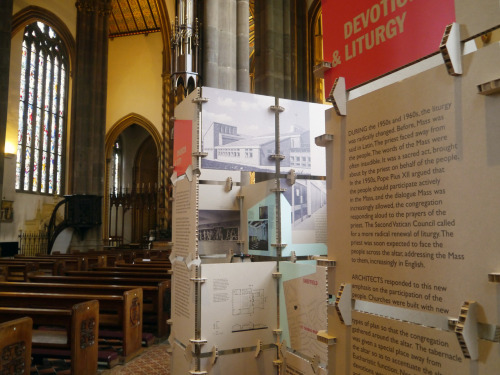 The travelling exhibition ‘Churches in the Modern World’, designed by Collective Architecture, is on the move again, to St Chad’s Cathedral in Birmingham. The exhibition is on display until November 5th. The cathedral was designed by Pugin and features a stunning painted timber ceiling.